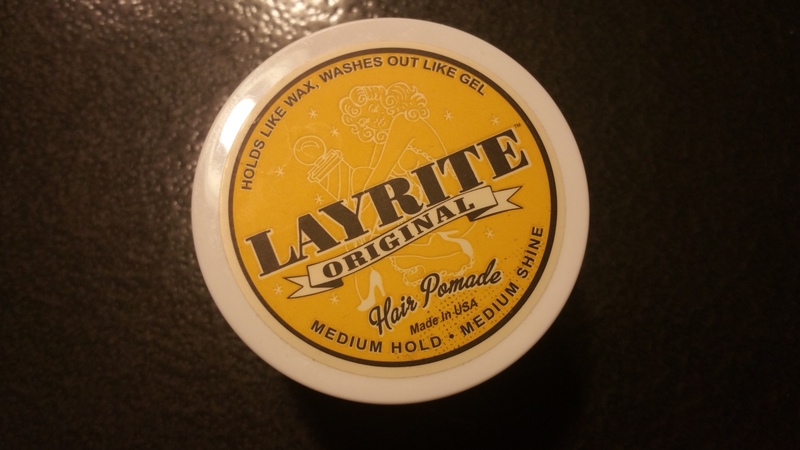 I will open with saying that “Layrite Original” is a splendid pomade. It meets every expectation one would have for a pomade. 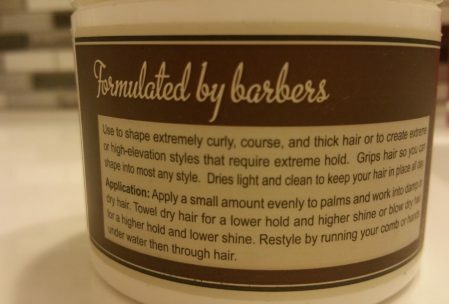 The texture of the product is firm but easy and pleasant to work with. Very little of the product is necessary to achieve proper hair placement. It offers a very discreet and agreeable sugar scent that will not collide with the other scents you might be working with that day. It dries in the hair making it nice to the touch. This version does not really offer much of shine which is perfect for my taste. For the dudes wanting more shine, I would suggest trying out their “Super shine” edition. I can only assume that it is as good as the original version I tried. This was the second pomade I ever tried. Suacetivo was the first and it had set the bar fairly high. 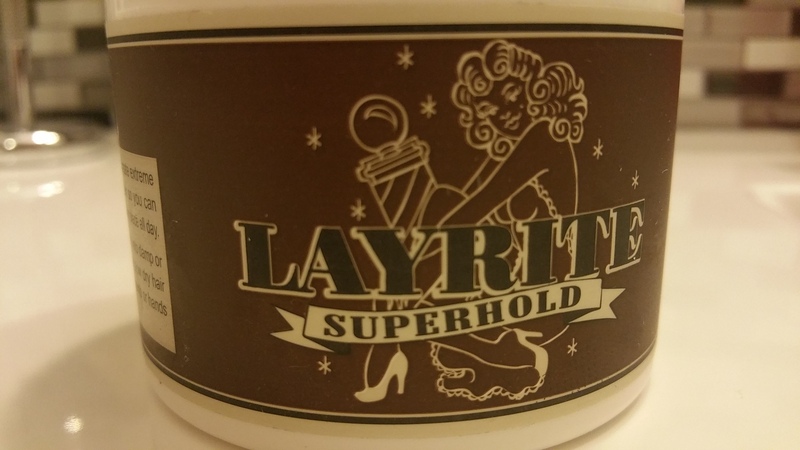 I was totally impressed and would say that Layrite is in my top 3 favorite products out there. On the branding and marketing front, they present a fun 50’s / alternative imagine. 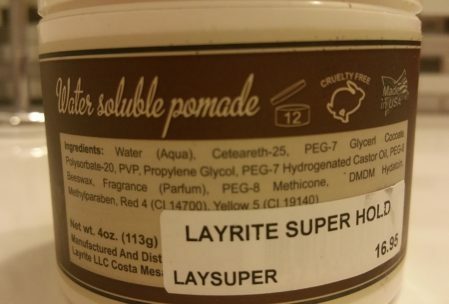 Addendum, as of lately I have been using the Layrite Superhold that is available at Hair Junkie for $17. 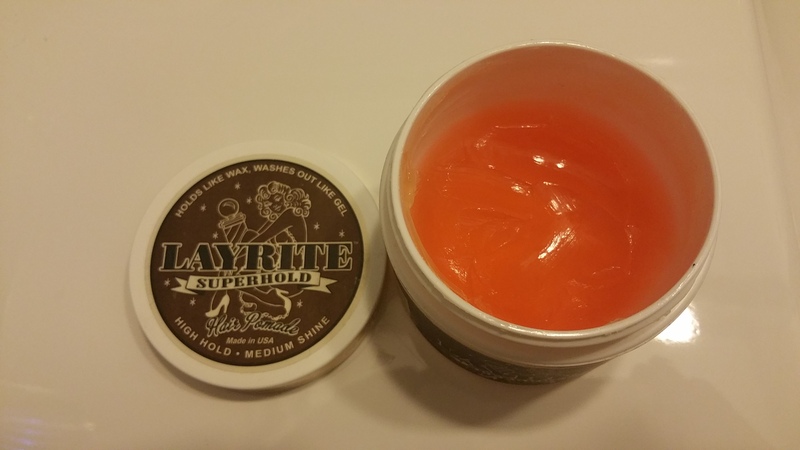 This formulation offers everything that is great about the Layrite pomade; with more hold. Hold, thus gets a 5 for this formulation. Note that the Layrite packing has changed recently. The cool retro lady is no longer on the jar. But the main colour is still dark brown. The jar below is the old labeling.